The South Carolina Association of Railroads was reactivated in 2003 to bring information about our industry and its vital economic importance to the South Carolina legislature, government agencies and the general public. Investment in and understanding of the railroad industry will allow them to maintain and expand their important role in South Carolina transportation and in the economic growth and well being of the State and its citizens. 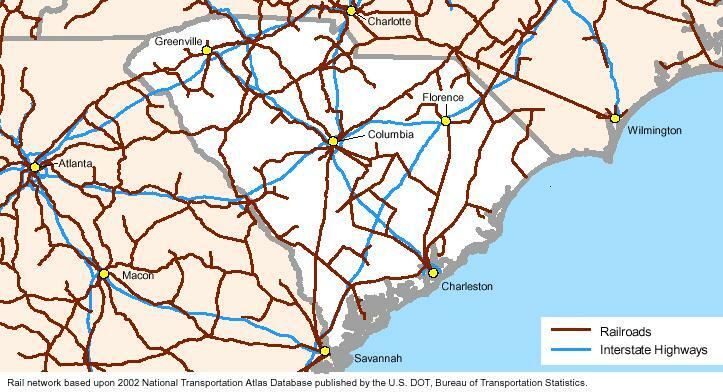 As highway congestion grows and pollution and accidents increase, it is important to understand the historic role that South Carolina’s railroads have played in moving freight for the State’s vital industries. It is estimated in 2001 that nearly 50 million tons of freight originated or terminated via rail at South Carolina industries. Clearly, the highways can’t handle that volume of traffic safely and efficiently. © 2017 Association of SC Railroads. All Rights Reserved.